Published April 7, 2014 at 638 × 800 in PORTFOLIO. Oklahoma Study #5. 2014. 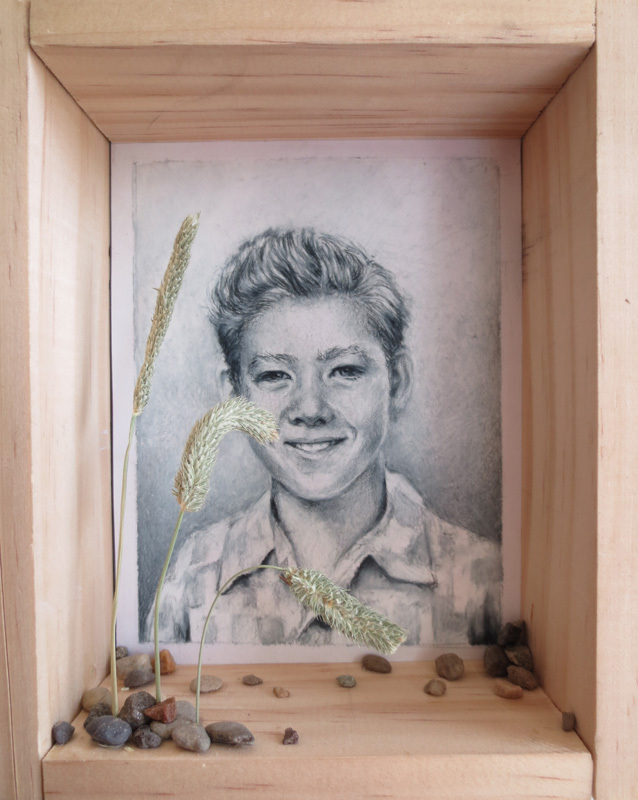 Pencil on paper, rocks, wood, hay, Oklahoma quarter. 6 x 4 x 2.5 in.